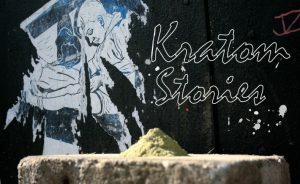 “Kratom Stories” is a weekly profile on KratomScience.com of people who have used kratom to get through pain, disease, or drug addiction. DM us on Twitter @kratomscience or email Brian at [email protected] if you would like to be interviewed for this series. Andrew Turner appeared in the recent Netflix documentary about kratom entitled A Leaf of Faith, directed by Chris Bell (Bigger Stronger Faster, Prescription Thugs). Turner is a veteran of the United States Navy and served in Iraq and Guantanamo Bay. He is an outspoken advocate for keeping kratom legal. He lives in the Washington DC metro area, and follows a disciplined kratom routine to help with his disabilities. KratomScience.com: In the documentary A Leaf of Faith, you said kratom gave you a “new lease on life”. They mentioned the PTSD and an injury you got during military service. On your Youtube channel there are two videos where you had stopped taking kratom, and there is a stark contrast to the other videos where the Meige syndrome is not being treated. You also said in the doc, you had tried 26 different prescriptions that were not helping. How specifically does kratom treat your pain, PTSD, and Meige syndrome? Do you use it alongside other medications? Andrew Turner: I use Kratom as a health supplement, for me it is just one of the things in my tool box that I use for better quality of life. There has been some confusion on how it affects me and my Meige syndrome, pain issues, etc. Kratom helps with its calming effects and provides me a greater sense of well being. My doctors in 2015 knew I was on a path that may eventually lead to suicide, partly due to my medications just not working for the issues and my health going down hill. By getting me off the prescriptions and using a supplement like kratom, it’s been able to provide my body the time to help itself. I wish I had some perfect answer to how this is happening, even my doctors aren’t completely sure why it affects my Meige syndrome how it does, and they believe that may just be it addressing my other issues and those are what causes my Meige syndrome to worsen. 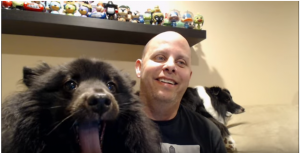 AT: I’ve been taking Kratom since March 2015 so 3 years and 6 months at this time. 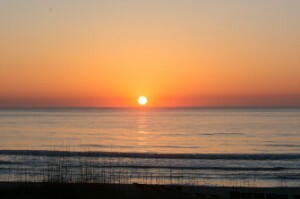 I take a 4 day break every 28 days to let my body process out and rest to some extent. Side effects yes, I was having some constipation and GI irritation from taking the raw powder so I switched to making a strained tea and that went away fairly quickly. Other than that, no side effects in that time frame. No addiction or withdrawal issues either, my doctors had me take a 14 day break in 2016 just to see what long-term use may be causing for me, and I didn’t then, nor now, run in to any physical dependency. It appears that much of that comes as some [users] increase dosage for extended periods. Luckily I haven’t had to do that and still stick to my one pint of kratom tea in the morning (with an occasional second pint late in the day if I’ve overdone it physically) and each pint is roughly 5 grams of kratom leaf made in to a tea. KS: You did mention that you were against pro-kratom propaganda. We all know that some of the FDA reports about deaths related to kratom were either sloppily reported or exaggerated (in some cases kratom was laced with other drugs, in one case a man died of a gunshot wound and happened to have kratom in his system). On the other hand, what are some of the arguments that bother you from the pro-kratom community that may paint too much of a rosy picture of the plant? 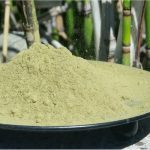 AT: The concept that Kratom is just “Safe”. Just because it isn’t killing many/any doesn’t mean there aren’t some risks. One of the biggest issues I’m seeing is due to so many “advocates” running around pushing that “safety”. Many others don’t do much reading about how Kratom works in studies and miss things like mitragynine acting as a CYP450 inhibitor which can cause the CYP2D6 enzymes to make other RX medications work in different, possibly stronger, and much more dangerous ways. This may also explain why there have been a few deaths, and there may actually be some that are kratom related, as the poly-substance deaths could be kratom causing these other medications to have fatal interactions. I also am not a fan of those that don’t think we need better oversight/regulation of the industry. It’s fairly obvious the lack of oversight is what caused the salmonella outbreak. We warned about that a year prior and when it happened it was an “I told you so” moment no one really wanted to have. KS: You’ve been an advocate for keeping kratom legal. 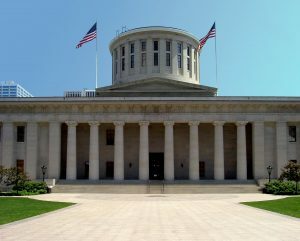 What would you like to see happen with kratom next politically? What laws/regulations do we need to ensure that the people whom kratom benefits can continue to have access to it? 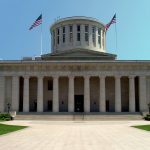 AT: I think we are going to need some new legislation that not only protects kratom legality but also forces the industry and consumers to accept better practices such as cGMP compliance to increase the safety. I think we will likely have to accept an age limit and I’m not against that. We also need the community to create a far better educational program about the plant to stop so much of the misinformation floating around. KS: This can be kratom related or not. But as a military veteran, what is your opinion on why we don’t, as a country, ensure that so many veterans get the help they need? I’ve known veterans who fell into drug abuse because they were taking opiates for PTSD. The homelessness and suicide rate among veterans is staggering. You’d think a bill to allow veterans access to the best available healthcare would get overwhelming majority support in Congress. What’s wrong with the system that veterans have to struggle or, as you did, turn to alternative means to treat themselves? AT: Much of that is purely political. Everyone wants to be the ones to solve it. Most though have a hard time accepting that others may have the solutions and so refuse to support each other across political aisles. We are far more interested in making war than we are addressing the outcomes from that, rises in disabled veterans dealing with mental health issues and a lack of access to proper care. That eventually leads to the rise we have seen in suicides, substance abuse, homelessness, etc. If we can’t as a country focus on better care for veterans we need to stop sending them off to war. KS: In your video “Stick to the Facts” you urge the kratom community not to rely on conspiracy theory or repeat things that aren’t provable. And you urge people to stick to their own story. 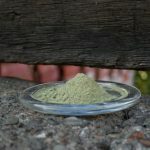 Why is it important for the kratom community to tell their stories? The most powerful thing we can share as a community with the public is our stories. It’s shown time and time again that we as a group are the thing that enacts change. It’s great to have organizations and lobbyists focusing on the behind the scenes stuff but without the consumers and our stories, there would be no fight to be had and Kratom would have been made illegal long ago. We as a community have accomplished something this country has never seen. We forced the DEA to walk back a proposal for scheduling. It’s our voices and stories that caused that backtrack. Previous PostNEW DANGEROUS DESIGNER DRUG HITS COCA ISLAND!